Our natural water resources are under a great deal of stress, as we battle with an ever changing climate, pollution and the needs of a rapidly growing population. Demand for quality drinking water has never been greater! Everyday you make an assumption about the safety of the water you drink. Whether that trust is well-placed, is the real question. Our government has a duty to provide us with water that is safe to drink, however the water quality at the point of consumption may not always be complimentary for our short or long-term health. Contaminants including heavy metals, chemicals such as chlorine, pesticides, bacteria, organic &amp; in-organic compounds all can be present in our drinking water. Given the importance of water to our wellbeing &amp; every bodily function, we owe it to ourselves to ensure that the water we drink is as pure &amp; fresh as possible! One great option is a water filter! 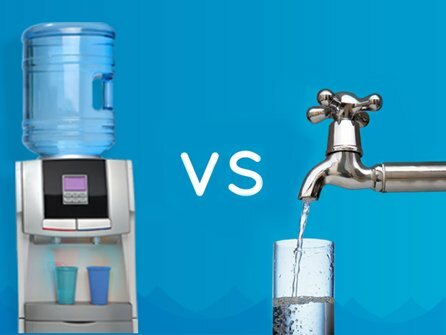 Water filters are great cost saving and long term investment that makes a great alternative to the water cooler in places where it’s just not viable to have a water cooler. Aussie Natural’s filter systems are compact and very efficient. Like the water cooler, our water filter range only take up one square foot of floor or bench top space making them very easy to fit into a kitchen or shared workspace. However, unlike water coolers that rely upon bottled water, they are plumbed directly into the mains water supply. 1. Water filtration can provide better tasting and better smelling drinking water by removing chlorine, chemicals, pesticides, heavy metals and bacterial contaminants. 2. Water filters remove lead from drinking water immediately prior to consumption, thus preventing this harmful substance from entering the body. 3. Benchtop water filters result in a source of clean, healthy water that you do not need to refill your but can instead enjoy filtered water directly from your mains water supply all day, every day. 4. Water filters greatly reduce the risk of certain cancers including: rectal cancer, colon cancer, and bladder cancer by removing chlorine and chlorine byproducts such as Trihalomethanes (THMs) from drinking water. 5. A water filter can selectively remove dangerous contaminants from drinking water while retaining healthy mineral deposits that balance the pH of drinking water. 6. Drinking clean, filtered water protects the body from disease and leads to overall greater health and energy. 7. A water filter provides clean, healthy water for cooking, as well as drinking, with the convenience of tap water. 8. Water filters reduce the risk of gastrointestinal disease by more than 80% by removing cryptosporidium, e-coli and giardia from drinking water. 9. Drinking pure water is especially important for children. Water filters provide the healthiest water for children’s developing immune systems. 10. Water filters offer the last line of defence between the body and the over 2100 known toxins that may be present in drinking water. Aussie Natural’s water filter systems are available in Freestanding Hot & Cold water dispenser or Benchtop Cool & Cold water dispenser. Starting from just $40 a month (including includes installation, filter cartridges & regular filter changes plus full warranty), it’s only too easy to get a water filter this summer with Aussie Natural If you have bit more space available another great way to incorporate natural spring water into your home or office is to have a water cooler. Many families rely on water jugs in the fridge to meet their needs at home. But in a busy household, it is easy to forget to refill the jug or to not have enough to go round when the kids come in hot and thirsty. Perfect for any setting, our water coolers and dispensers are a simple, cost effective solution, which hardly take up any space! With our free, next day metropolitan delivery and installation, you can have fresh, cold water in your home or office in no time. 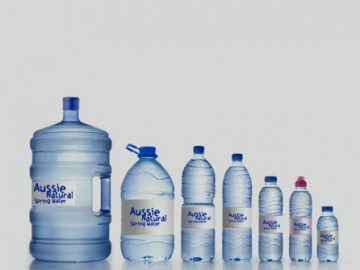 Aussie Natural‘s water coolers start from $9 a month, click here to find out more.